WE’RE HAVING A BABY AND I COULD SHOUT IT FROM THE ROOFTOPS BECAUSE NOW I FINALLY CAN! We are so happy. Beyond happy. Over the moon excited. It’s still surreal. It’s still terrifying. But man. We are going to be parents, and I’ve been smiling like an idiot since the end of September when we found out. We slowly told family and friends, and Thanksgiving was the big sha-bang when we were able to tell all of our extended family. I loved telling people in person, especially because I got to tell everyone that we were thankful for our own little turkey that would be done in May. A lot of you have probably already seen my post on Facebook and/or Instagram announcing the pregnancy, and I’d like to thank you all SO MUCH for your support and happiness! It really is such a miracle. Science is awesome. God is more awesome. We are still trying to figure out how we’re so blessed with each other, such a fantastic support system, and the human being that we created currently occupying my womb. Weird. Our journey so far has been an interesting one, but I think that every woman’s pregnancy is, right? Especially since this is my first pregnancy, I question everything, worry a lot, and am often asking myself is this supposed to be happening to my body? For my own sanity, since I’ve had to keep this secret for so long, I started writing blog posts about the experience. It’s been pretty fun, a great outlet, and I’m also really happy to have an account of the early stages of pregnancy. I was contemplating for some time how to share all of these posts without bombarding Facebook… So I’ve just posted the first 3. Below are the links to Baby Romenesko Posts 2 & 3. Enjoyyyyyy! I hope you enjoy sharing in my journey as much as I’ve enjoyed writing about it!! 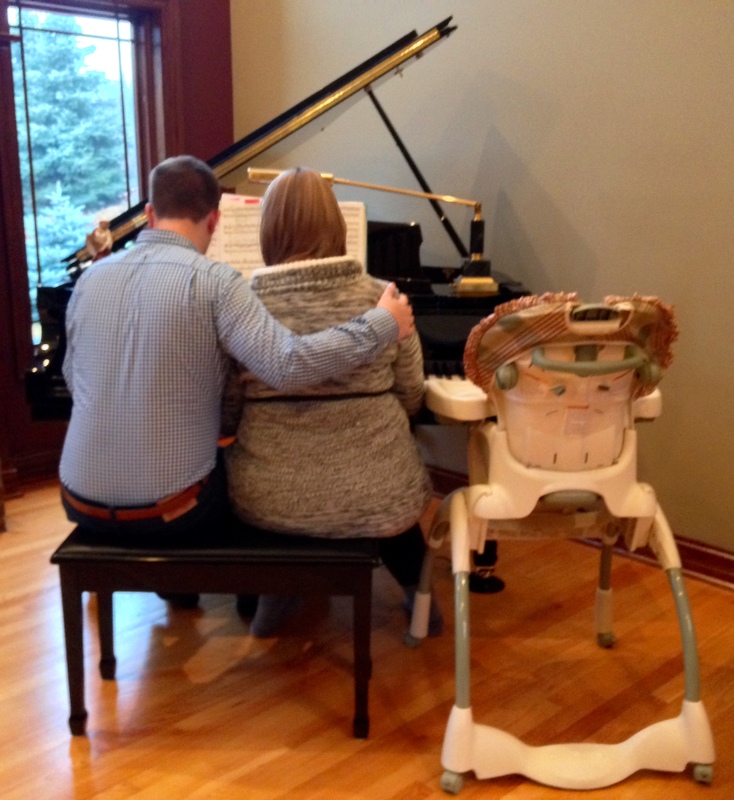 End of May, 2015: Our duet is becoming a trio. Huge thank you to B for thinking of the most perfect announcement!! !